New elegant villa is not only a few meters from the beautiful beaches, but also close to all amenities and entertainment you need for a fun-filled time of the free from a beach holiday. Villa meets the high standards and requirements to meet any n.. This luxurious and elegant villa is ideally located 300 meters from the beautiful sandy beach where vacationers may be interested in a great amount of fun. The villa is designed to make guests feel at home. 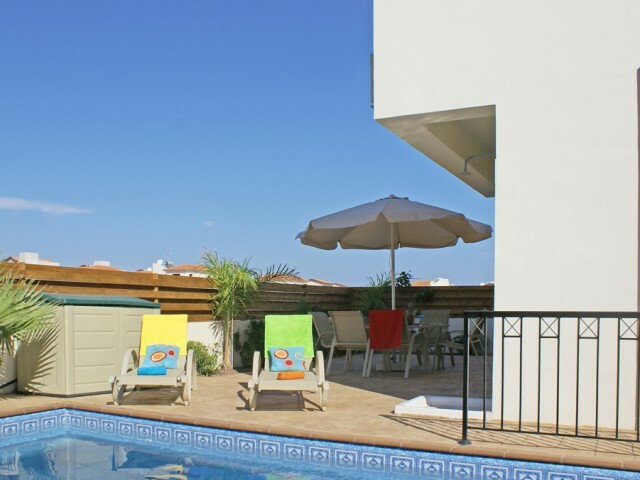 The villa has its own swimming pool and ..
Luxurious new apartment is located in Kapparis. It has two spacious bedrooms, a fully equipped kitchen. 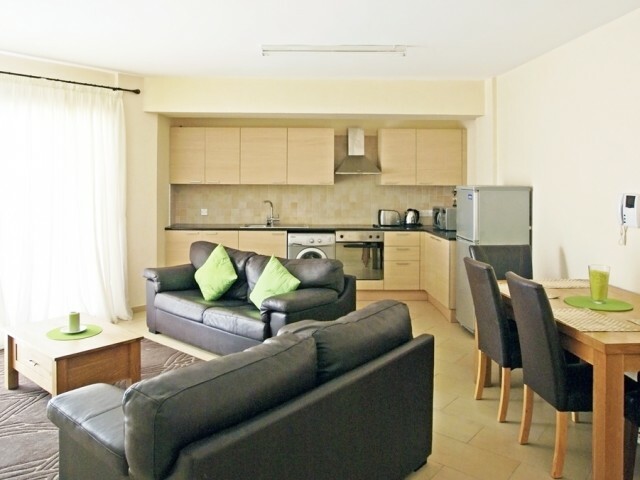 The apartments are decorated in a contemporary style with comfortable sofas, TV and DVD-player. There are two communal swimming pools, one for .. The apartments are in a quiet area of ​​the tourist zone of 200m from the sea and near a supermarket Papas Park Dasoudi. In walking distance to all the necessary infrastructure - a large supermarket, park, restaurants, pastry shops, a small bookst..
Two bedroom apartments are located in one of the elite complexes tourist area of ​​Limassol, near the luxury hotels and just 300 meters from the sea. The proximity to the hotels of the complex allows residents to use their infrastructure in the ar.. 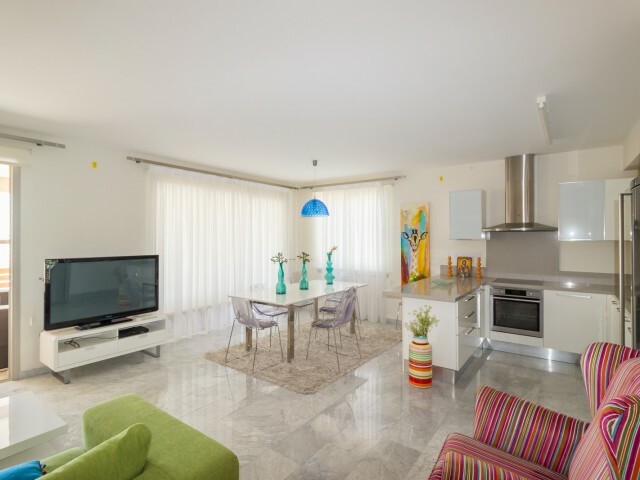 Double modern, spacious, fully furnished apartments are ideally located in the center of Ayia Napa. The apartment is rising above ground level overlooking the pool. On the beach, a stone's throw away and a short walk from many bars, restaurants an.. Bedroom villa with three double beds. All rooms have fitted wardrobes. Two bathrooms. Private pool 8x4 meters, chairs and umbrellas. Bed linen and bath towels are provided. .. This beautiful villa has everything you need for a perfect holiday. Perner District is located at the port and the local beaches, just a short walk from the many bars, shops and restaurants. Villa with private pool and spacious, open area ensures .. This is modern 3 bedroom villa with private swimming pool located at the end of a cul-de-sac in a stunning complex in the famous area of Pernera. This villa is spacious and it can comfortably accommodate 6 persons. Well-equipped and furnished to h..
Modern villa with three bedrooms, located in Pernera. The villa is decorated to a high standard, modern living room and kitchen with dining area. All bedrooms have air-conditioning. Bedrooms are beautifully decorated and have showers. ..